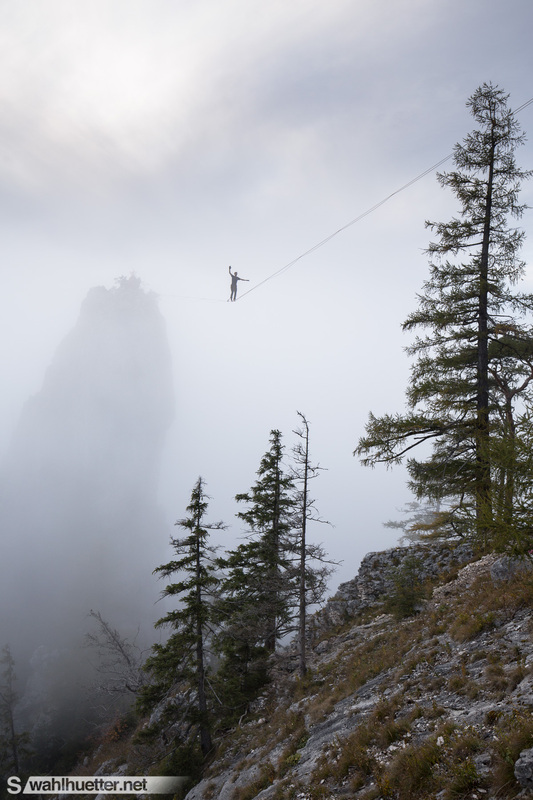 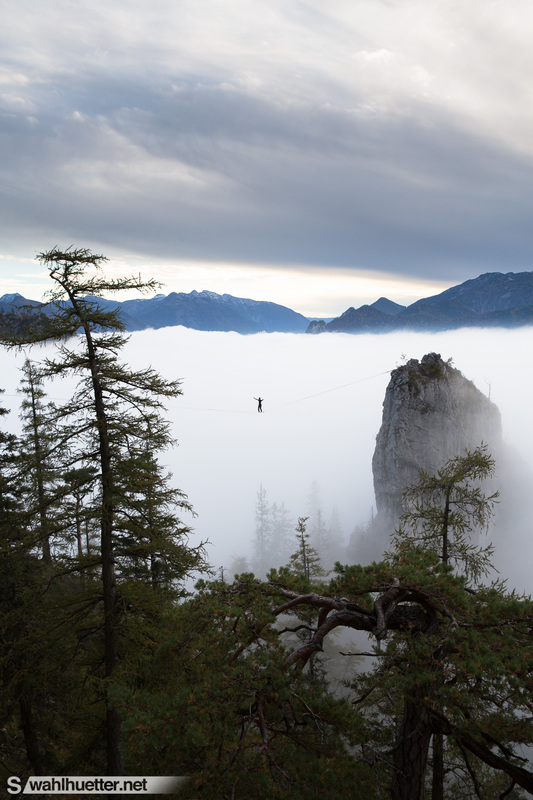 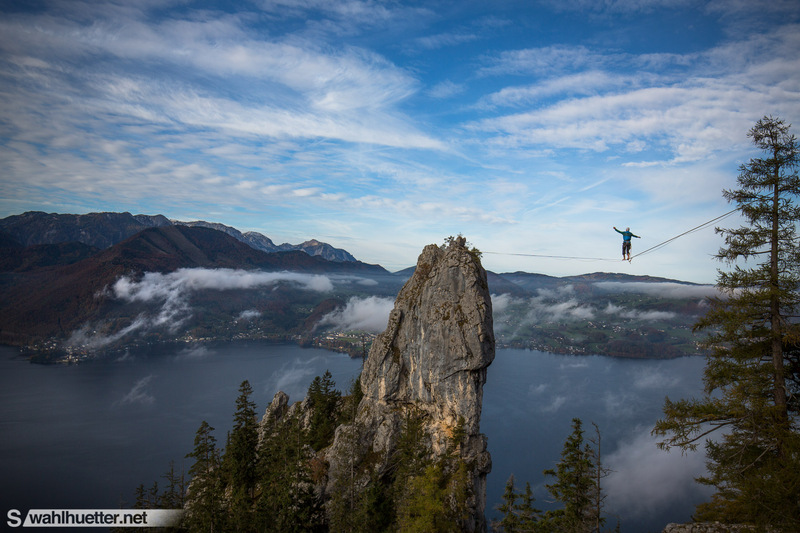 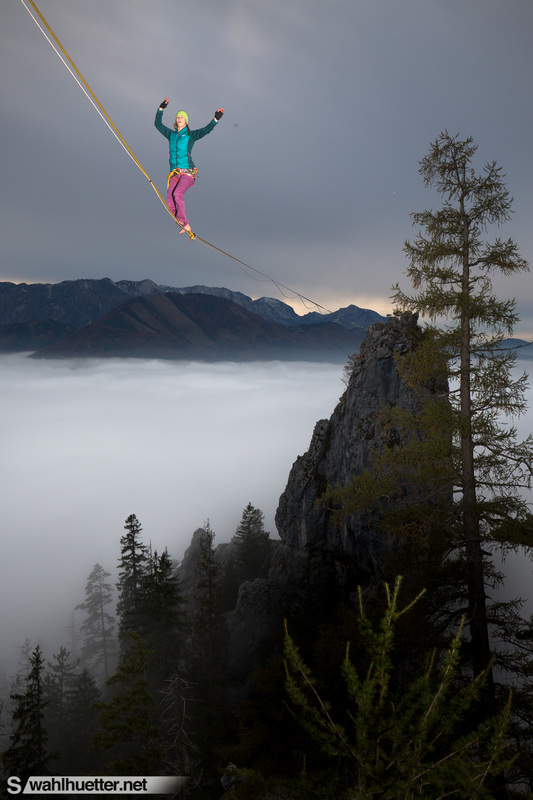 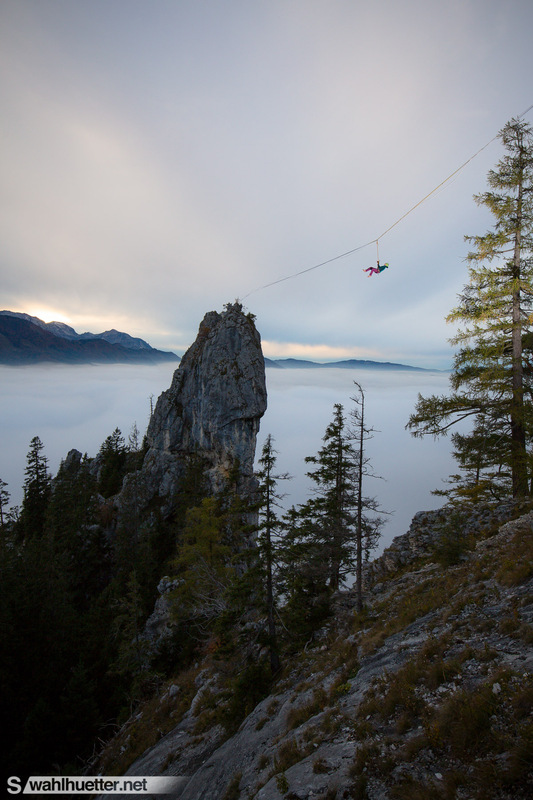 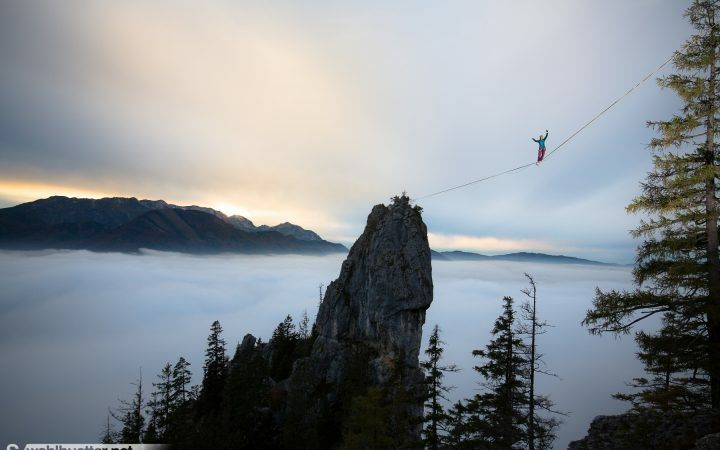 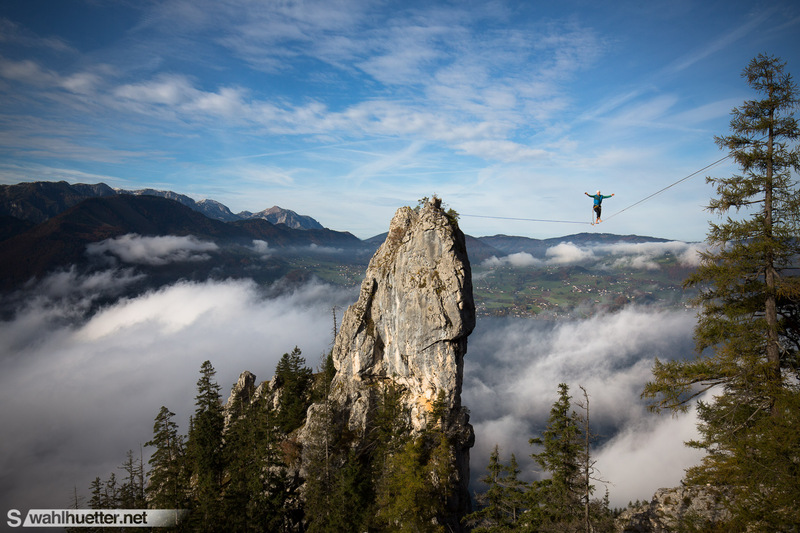 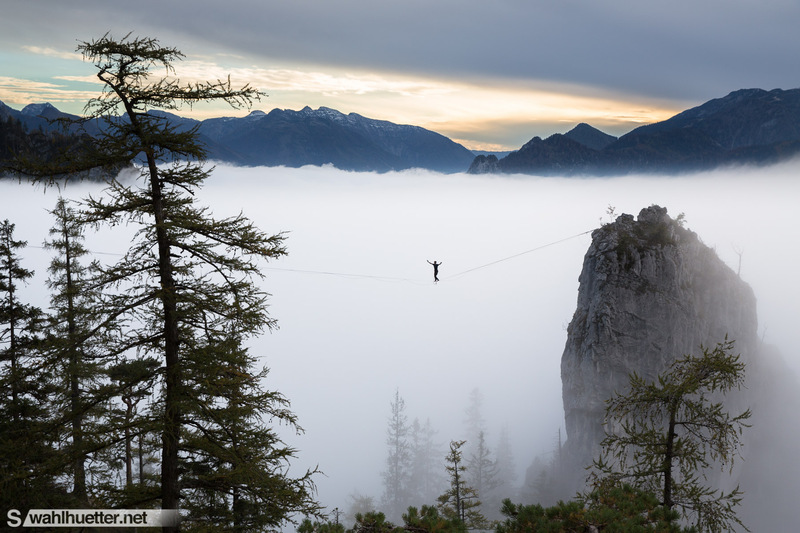 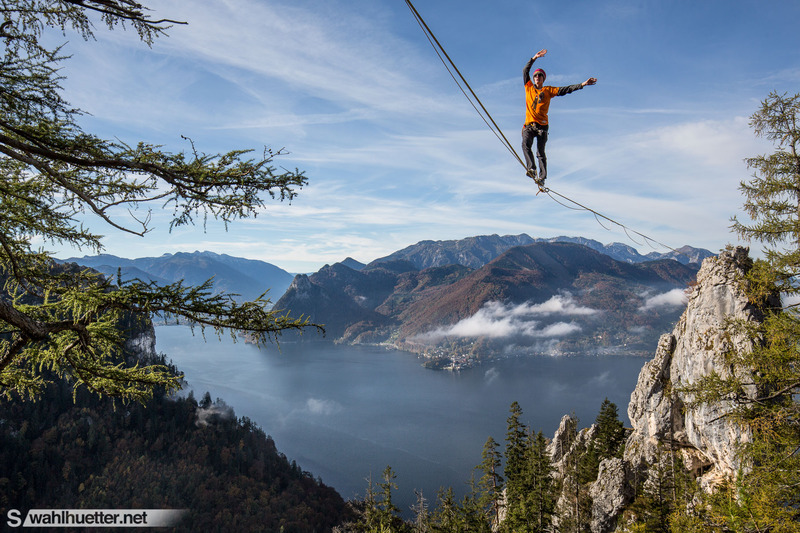 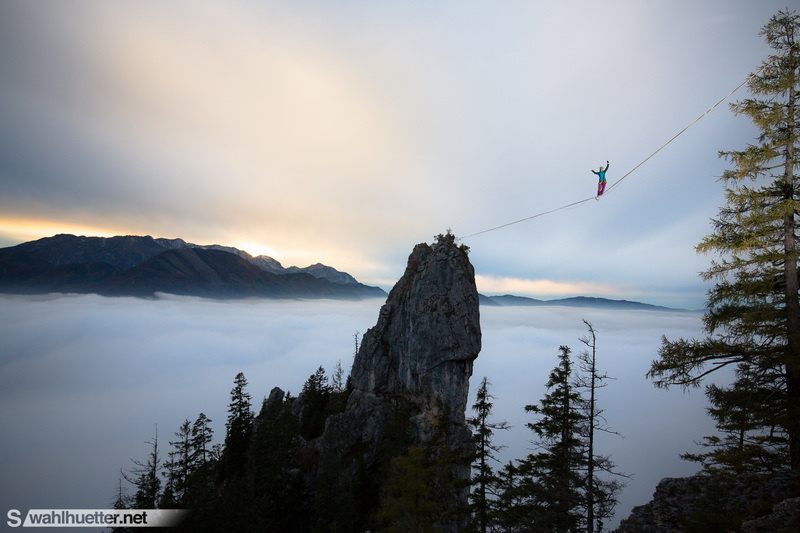 Tagged action, Adventure, alpine, alps, Austria, Highline, highlining, Slackline, slacklining. 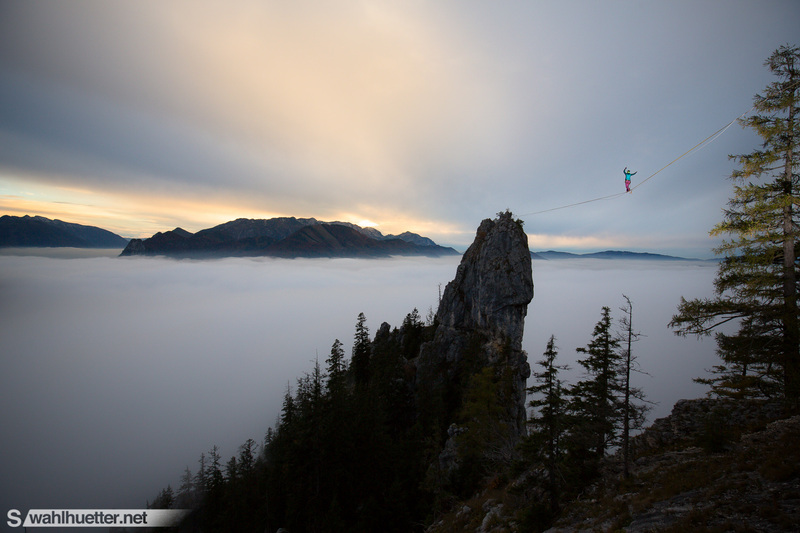 Scenic highline at the ‚Traunstein‘ in Upper Austria. 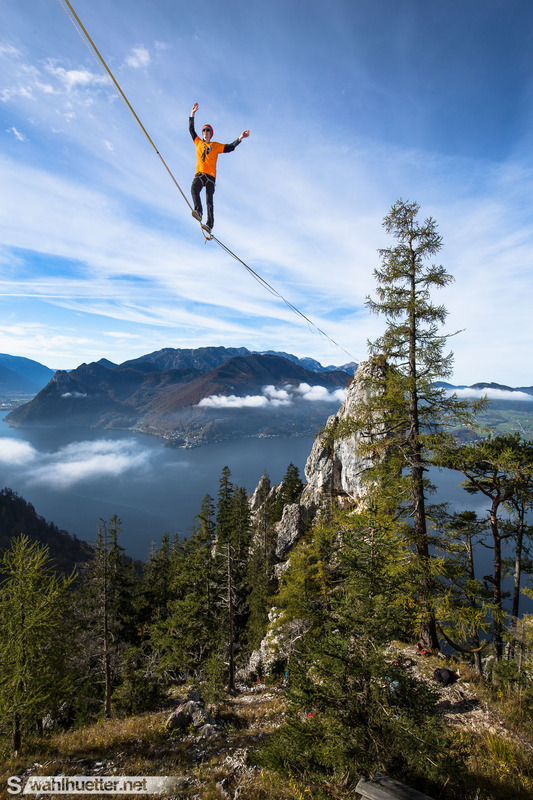 The highline is 80 meters in distance and is enthroned above lake Traunsee with an epic view over the lake and mountain range. 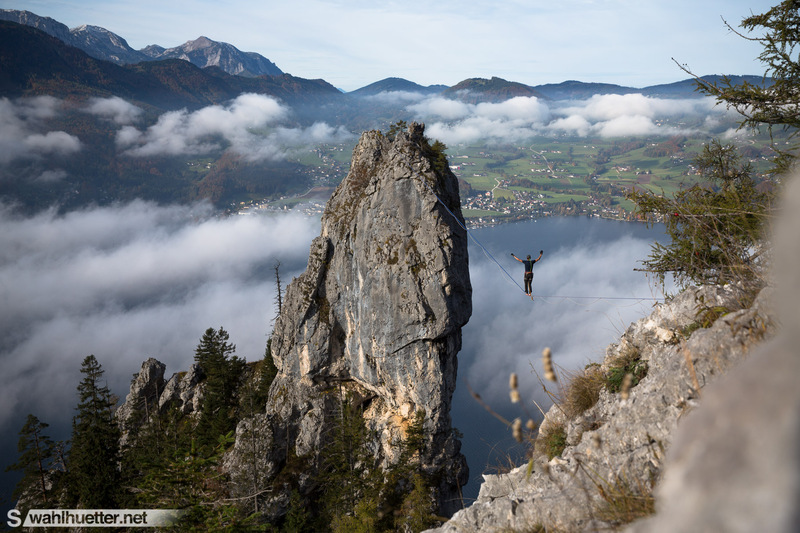 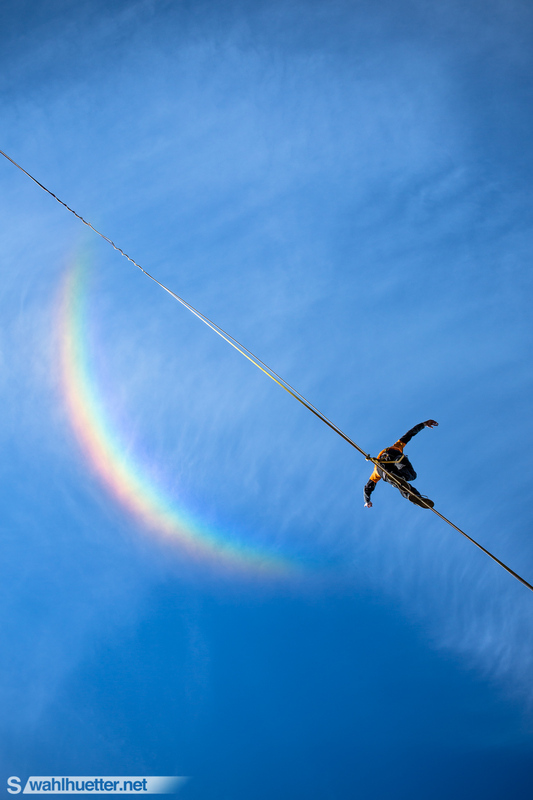 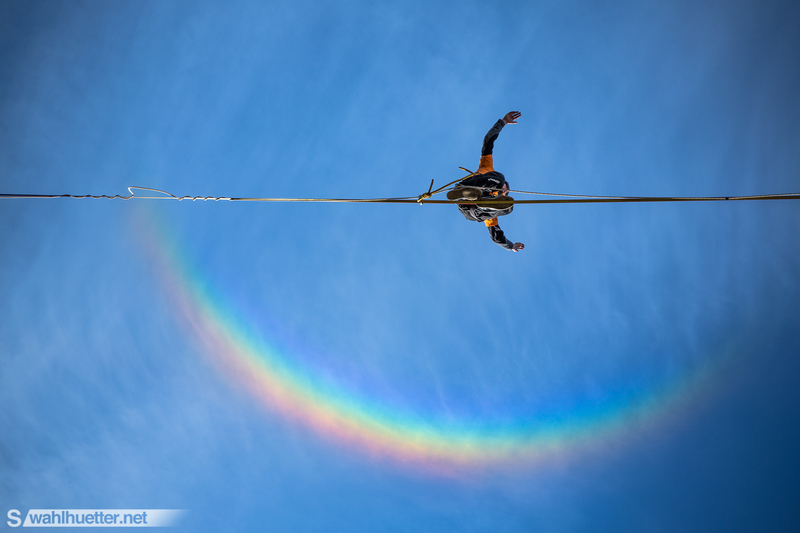 The project was run by the Vienna Slackliners and friends.